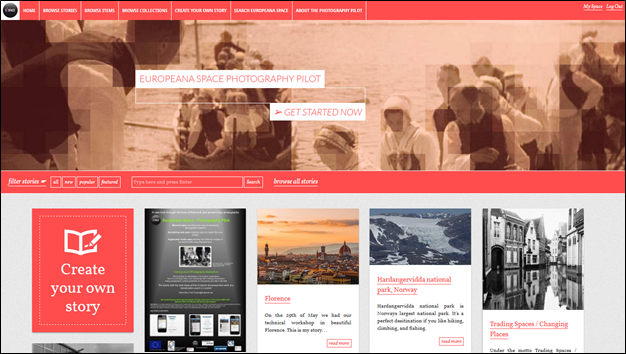 The Photography pilot Storytelling Application allows end-users to build online stories that showcase a group of digital objects in combination with narrative text. Using pre-built themes and layouts, users can build complex pages without any programming knowledge. The demo version is available HERE, soon to be updated and launched officially in its first release.